1H17 results of the Singapore telcos reflect the still-keen competition in the market and persistent structural MSR weakness. We expect the operating landscape for the remainder of the year to remain challenging, with the incumbent MNOs seeking to defend their revenue share amid higher handset costs. This comes ahead of the entry of the fourth player and a new MVNO over the next 2-12 months. Bright spots are in the enterprise space. Maintain sector NEUTRAL, with Singtel as our preferred exposure. The three incumbent mobile network operators (MNOs) reported aggregate core EBITDA contraction of 3.1% YoY in 2Q17 (+10.4% QoQ) due to continuing stiff competition, higher handset costs and structural roaming revenue pressure. While the industry’s mobile service revenue (MSR) saw a seasonal uptick of 0.4% QoQ, it dipped 2.5% YoY in 2Q17 – marking the seven consecutive quarter of YoY contraction. Singtel’s Singapore MSR fell the most at, -4% YoY vs StarHub’s -1% and M1’s 2.1%, driven by the group’s more sizeable stream of roaming revenue. Positively, we note its roaming revenue contribution has eased further to 16% in 2Q17, from 18%, in the previous quarter. Singtel said although data growth has offset the pressure on domestic legacy revenues, it is still not able to offset the decline in voice roaming. Overall industry MSR dropped 2.1% in 1H17, ie trending within our expectation of a 1-3% decline for 2017. ARPUs continue to be diluted by SIM-only plans. Despite greater data usage and a higher number of subscribers exceeding their data bundles, the telcos’ postpaid revenue fell 1-7% YoY in 2Q17 from the higher take-up of SIM-only plans and roaming revenue pressure. Singtel and StarHub’s prepaid ARPUs have held up well for the past three quarters, but M1’s ARPU continued to slip. The shutdown of Singapore’s 2G network in April saw postpaid subscriber net deletions for StarHub and M1 and prepaid net-deletions for Singtel. Watch out for handset costs in 2H17. We expect subscriber acquisition costs (SAC) to remain elevated in 2H17 due to major handset launches, ie the iPhone 8 and Samsung’s Galaxy Note 8. At the same time, the telcos would look to defend their MSRs and lock in subscribers ahead of TPG Telecom’s (TPG) entry in 2018. Although SIM-only plans remain popular, we gather from the telcos that handset-bundled/contractual plans are still very much preferred. This supports the good re-contracting activities in the market, with the telcos capitalising on the momentum to upsell data add-ons to subscribers. Of the three telcos, M1’s subscriber acquisition cost (SAC) jumped the most, at 15% YoY in 1H17. With the exception of Singtel which could look to return part of the over SGD2bn ( > 15 cents/share) in proceeds (including the settlement of a shareholder loan) raised from the IPO of Netlink Trust (NETLINK SP, NR) in 2H17, we do not foresee major dividend surprises by the telcos. There is downside to M1’s dividend payout, in our view, given its higher net debt/EBITDA of 1.4x, sustained capex spending of SGD150m and another SGD188m in spectrum payment due by FY18. We think the competitive risks from new entrants have been priced in to a certain extent, with sector valuations at a fair 10.1x weighted FY18 EV/EBITDA – off the high of 12x in the last two years and in line with the post global financial crisis (GFC) mean. We keep our NEUTRAL call on all three telcos, with Singtel as our preferred pick. Post 2Q17 results, we cut M1’s FY17F-19F core earnings by 12-13% but retain our estimates for Singtel and StarHub. 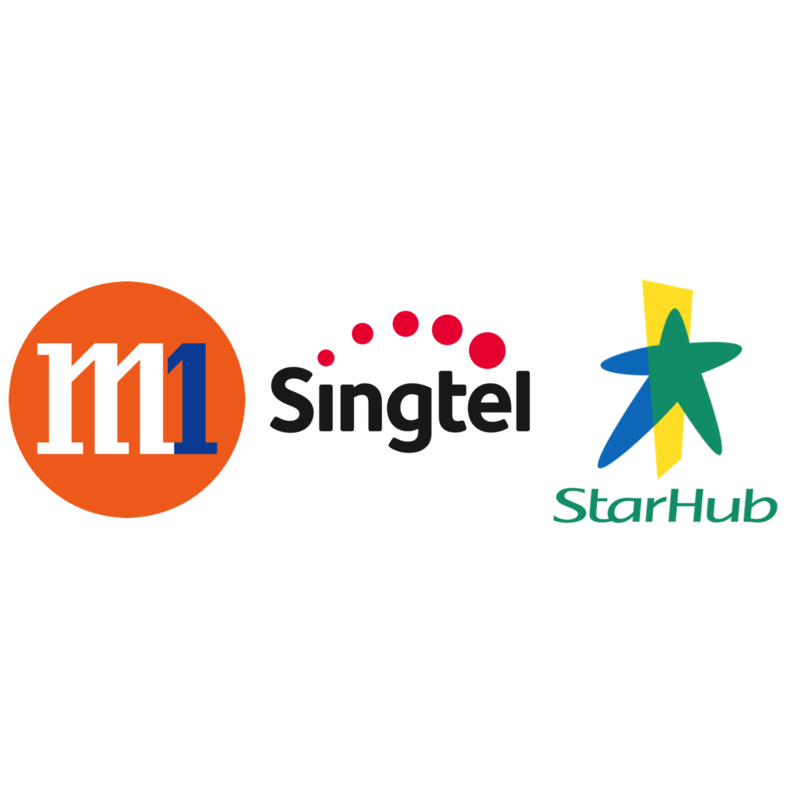 Our forecasts for M1 and StarHub have not factored in the potential network collaboration, which remains under discussion.